This book is an interesting read. It written ten years ago and is a little dated in some ways. New technologies have always had an upside and downside. Powers goes back through history to discover how thinkers have thought about the new technologies in their day and the effect they had on society. There really is nothing new under the sun. Our day is always on and always connected. There is quite a bit of talk about the problems, but not as much in terms of actual solutions. Technology has developed so quickly, we don't know the ramifications. Powers offers a few thoughts and talks about his own attempt at combating the overload. I've done a few things of my own in this regard. I enjoyed the book. 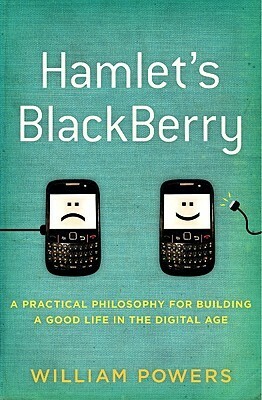 Sign into Goodreads to see if any of your friends have read Hamlet's BlackBerry.